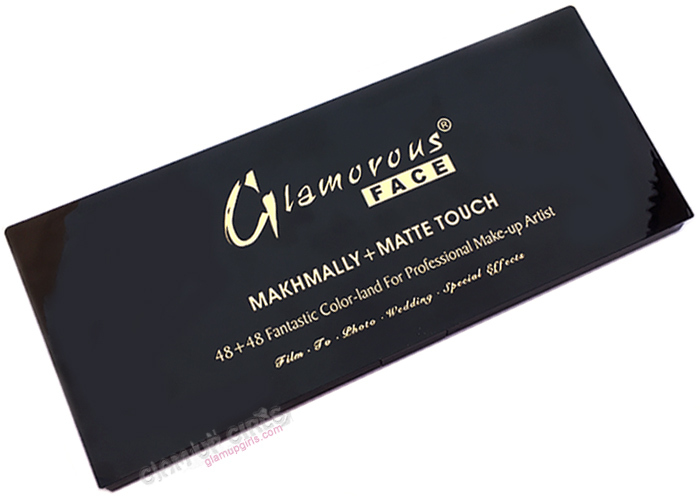 Today i am going to swatch the one palette, i think almost every beauty blogger in Pakistan have started with, called Glamorous Face Makhmally + Matte Touch 48 + 48 Eyeshadow Palette. I have this palette for very long as well and considering it is reviewed by many bloggers few years ago, i never reviewed it on my blog. 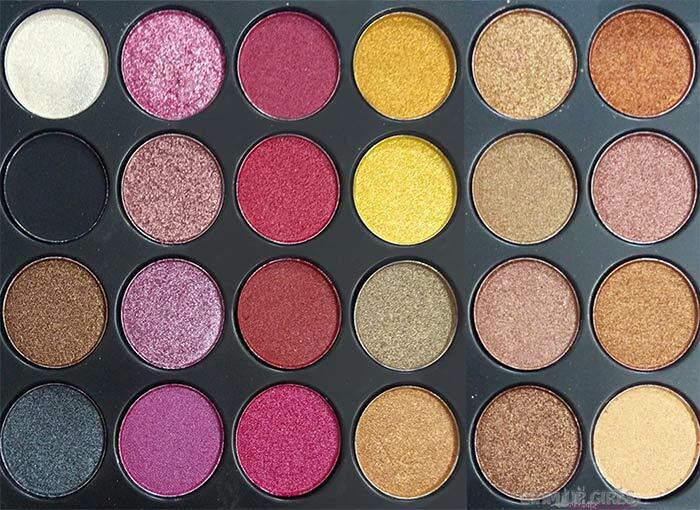 Recently i noticed that there are no online swatches available of this palette and the ones who want to read review and see swatches before buying it might be very disappointed. So without further delay lets dig in the details of this palette. 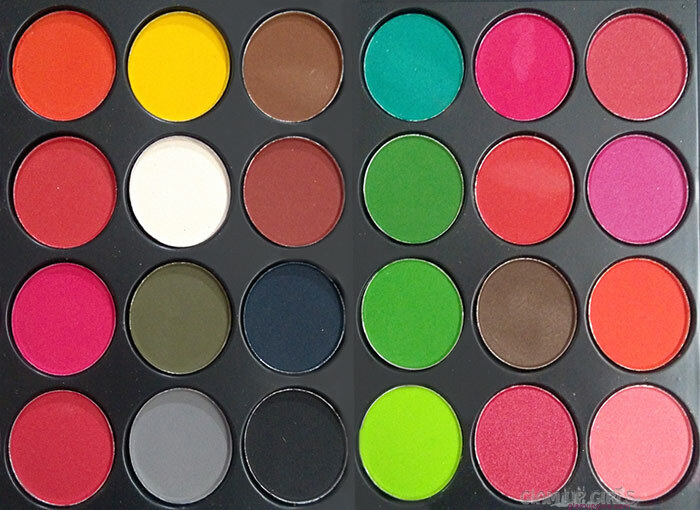 This palette have sleek black plastic packaging and have 96 shades housed in both sides of palette. The packaging is sturdy and easy to carry around. 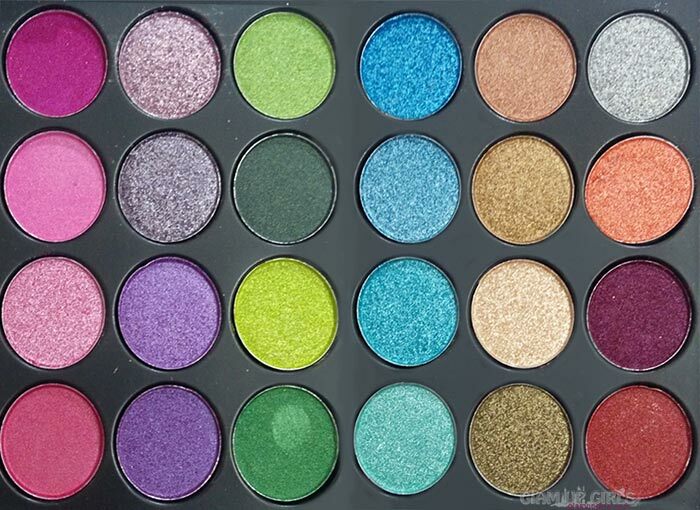 I have also noticed that eyeshadows can easily be removed and you can use the palette as DIY magnetic palette which i am definitely going to try. The shades have frost, shimmery, satin and matte finish. I have not found any particular smell in them and they have also listed the ingredient on back of the palette. Most of the shades have very good pigmentation and soft formula but some are disappointing as well. 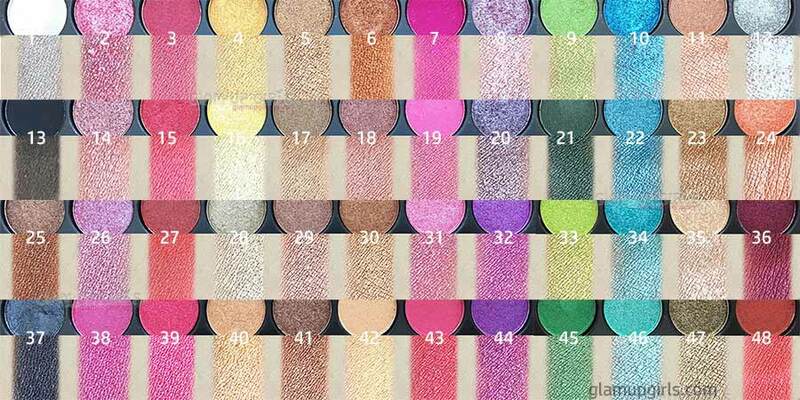 I have explained all the shades color, their finish and texture below where you can get the overall idea of this palette. Overall the pigmentation is good and texture is soft but nearly 11 shades have very hard texture with bad pigmentation which are mostly matte. The frost shades have mostly little crumpling texture which have little fall out but their finish is very good and with wet brush or Inglot duraline you can make folic shades from them. 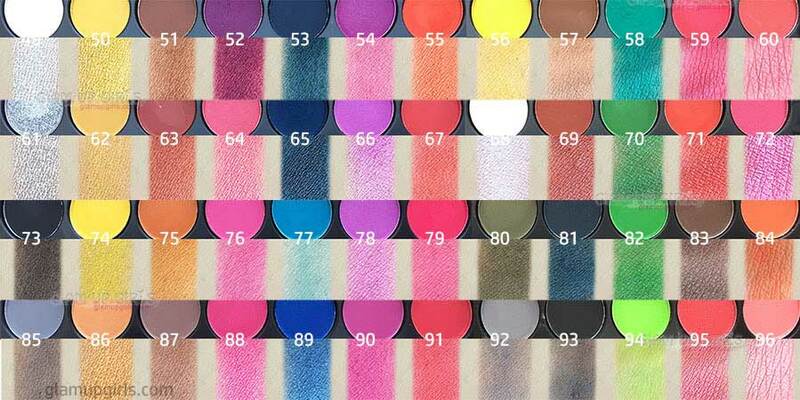 Inglot duraline can also improve the matte and bad pigmented shades. 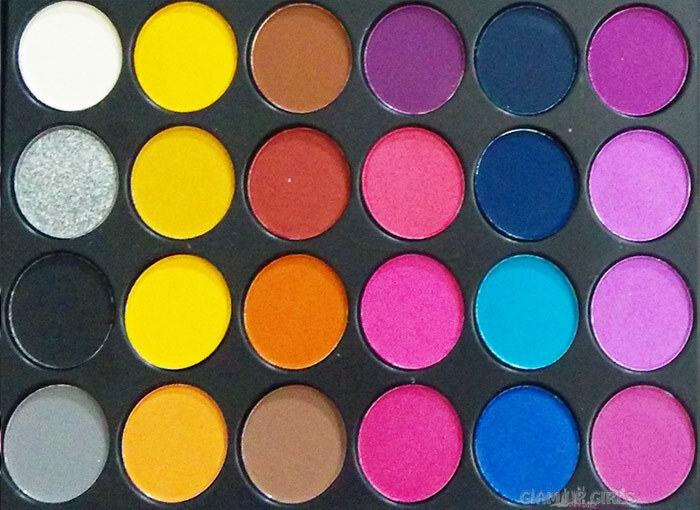 Considering the price this palette is quite good and if you like experimenting with different shades, you are definitely going to like it. Glamorous Face Makhmally + Matte Touch Eyeshadow Palette is currently priced from PKR1000 to PKR1500 depending on different stores.